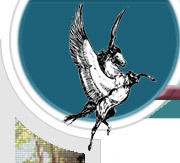 This is the third in the “Journeys with Jimanie” series. Located just 1 hour east of Atlanta on I-20, Madison, GA has long been a favorite stop for Jim and I when traveling to or fro on the interstate. It is known as the town Sherman refused to burn. Of the many Victorian houses that have been preserved, the most celebrated of them is the Hunter House. An 1883 Queen Anne-style home with a hipped roof with cross gables and a square tower, Hunter House is the most photographed house in Madison. Both the first and second story porches have beaded and shaped spindlework. As might be expected, Madison’s cache of period homes has made it an important stop on Georgia’s Antebellum Trail, a 100-mile tour that covers seven towns in the heart of the state from Athens to Macon. 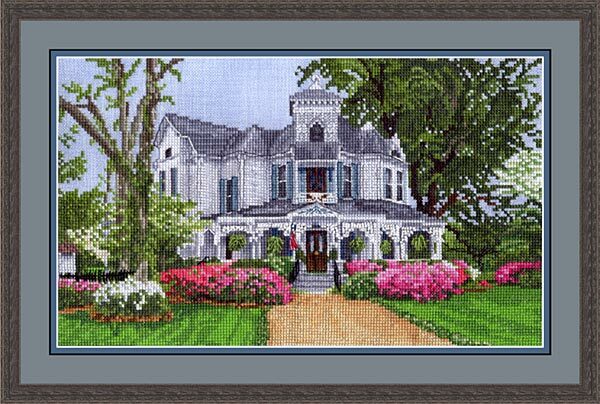 As you bring Hunter House to life with your stitching, I hope you dream of Southern belles and moss-draped trees! Our Model on the cover was stitched on 28ct Lugana on Wedgewood fabric from Zweigart with DMC floss. Jimanie is the kennel name Stephanie uses for her show kennel of Pembroke Welsh Corgis. It is a combination of her name and the name of her husband, Jim. Since this series is going to include many places photographed on trips they have made together or on trips Stephanie has made for dog judging assignments, it seemed natural to name it “Journeys with Jimanie”.